I love the bright colors it comes in: Pink, blue, and then a luxurious brown! 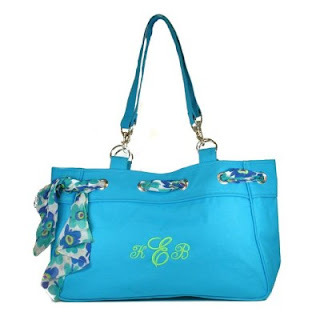 I love the ribbon that is woven through the bag and I love love love the straps!! Such a modern bag with a classy look!! OMG I'm in love with that! what's the shoulder drop like on that? Beautiful! I would totally rock that bag!